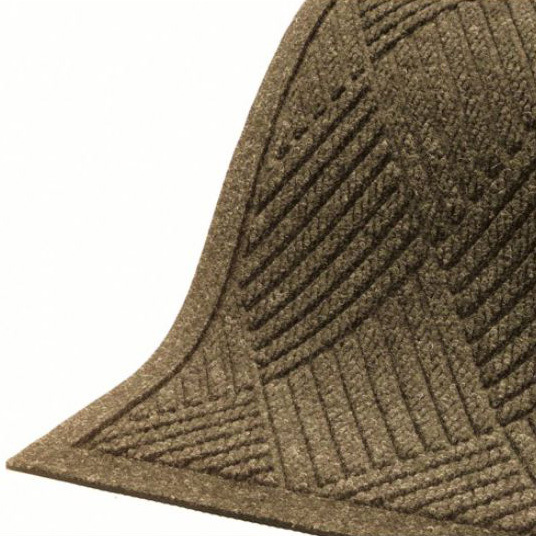 Waterhog Fashion Diamond Entrance Floor Mats by Andersen offer the same properties as the Waterhog Classic Mat but with a Diamond Pattern instead of the basic Waffle Pattern. 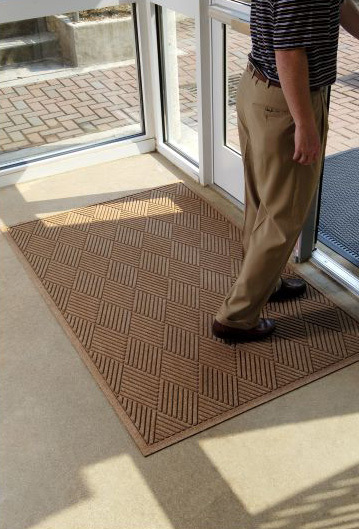 The Waterhog doormat scrapes unwanted debris and absorbs up to 1.5 gallons of water per square yard. The Matching Color Fabric Dam Borders give the mat a less industrial look and will keep liquids contained within the mat preventing overflow onto your floor. 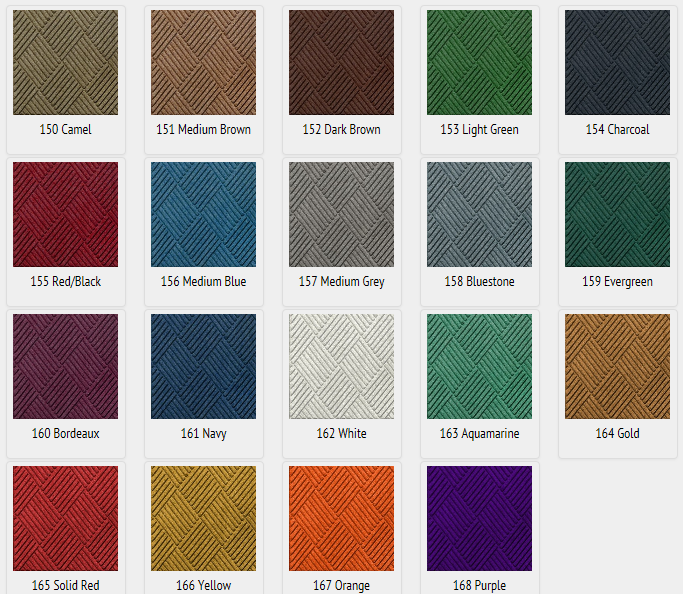 With 18 colors to choose from and custom lengths available, it is no surprise that these Waterhog mats are Commercial Mats and Rubber's most popular item! • Available with cleated backing for placement on carpet, smooth backing for hard floor surfaces or Anchor Safe backing† for maximum movement control on hard surfaces. Anchor Safe backing available on mats with Classic Rubber Border only. Any medium-heavy traffic entryway in need of a durable mat, especially in areas where water or snow is a factor.